Switzerland's ski federation says in a statement that Podladtchikov also sustained a concussion in the heavy fall at the Secret Garden event in China on Friday. 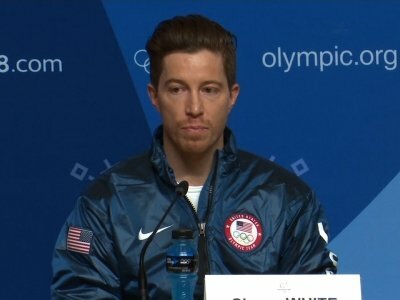 Pyeongchang, South Korea — It was expected to be a coronation: snowboarder Shaun White, shredding the halfpipe in an epic performance that won him Olympic gold at Pyeongchang four years after a devastating loss in Sochi and just four months after a nasty fall during practice sent him to a hospital. 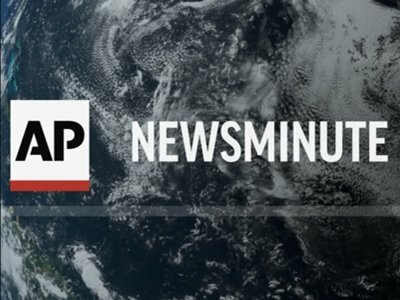 PYEONGCHANG, South Korea (AP) — It was expected to be a coronation: snowboarder Shaun White, shredding the halfpipe in an epic performance that won him Olympic gold at Pyeongchang four years after a devastating loss in Sochi and just four months after a nasty fall during practice sent him to a hospital. PYEONGCHANG, South Korea (AP) — Shaun White apologized after dismissing the sexual misconduct allegations made against him in a 2016 lawsuit as "gossip" shortly after winning his third Olympic gold medal in the men's halfpipe. PYEONGCHANG, South Korea (AP) — The legend, the brash upstart and the soft-spoken prodigy have been circling each other for months, trading boundary-pushing runs with one eye on the halfpipe and the other on their long-awaited faceoff in the South Korean mountains, the one for all the swag and an Olympic gold to boot. PYEONGCHANG, South Korea (AP) — Shaun White sat on the couch at home and watched history's best halfpipe contest unfold. He's planning on making the next contest — the one where they hand out the Olympic gold medal — an even better show. Brain injuries are serious and often misunderstood by the general public. Kevin Pearce, a former professional snow boarder, knows this all too well. Pearce will be attending the Inspire Film Festival later in February for a question and answer session following a showing of "The Crash Reel," a film following his journey from snowboarding star to the tragic brain injury that left him unable to compete for the rest of his life and how his family rallied around him. ASPEN, Colo. (AP) — He's got the top trick. He's got the great nickname. He's even got the Olympic gold medal. Iouri Podladtchikov — pronounced "YOU-ree Pod-LAT-she-kawv" but more commonly known as "I-Pod" — has everything he needs to be the coolest snowboarder in the halfpipe. COPPER MOUNTAIN, Colo. (AP) — David Wise took a major step in his bid to capture back-to-back Olympic gold medals Friday, winning a World Cup ski halfpipe competition that counts as an Olympic qualifier. Wise won with a score of 92.40 and was followed by three Canadians — Noah Bowman, Simon D'Artois and Mike Riddle. Torin Yater-Wallace, who had a victory in a qualifier held last year, was the next-best American finisher. He came in fifth. GENEVA (AP) — Olympic halfpipe champion Iouri Podladtchikov will have surgery after sustaining a serious knee injury at the snowboard world championships. The Swiss ski federation said Tuesday that Podladtchikov tore the ACL in his right knee during his silver medal-winning performance on Saturday in Sierra Nevada, Spain. The 28-year-old snowboarder, known as I-Pod, will have the operation on Thursday in St. Moritz. The next Olympics are still a year away, and already, Shaun White is thinking about the games after that. And it has nothing to do with the halfpipe. The world's best-known snowboarder tells The Associated Press he's exploring competing at the Tokyo Summer Olympics in skateboarding, which will be added to the program for 2020. "It's right there in the distance for me," White said. SAN DIEGO (AP) — A former member of Shaun White's rock band is suing the Olympic snowboarding champion, claiming he sexually harassed and refused to pay her. Lena Zawaideh was the drummer in White's band, Bad Things, until 2014.